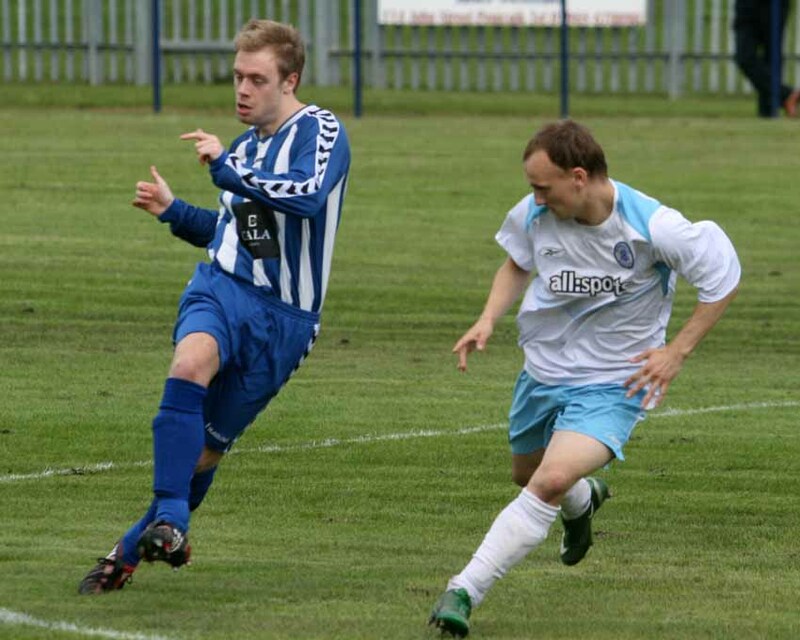 The first five minutes were evenly matched, but Penicuik threatened first when a twenty five yard drive by Ryrie flashed inches wide of the right hand post. In the 11th minute, Jones saw his shot deflected past the post for a corner kick. 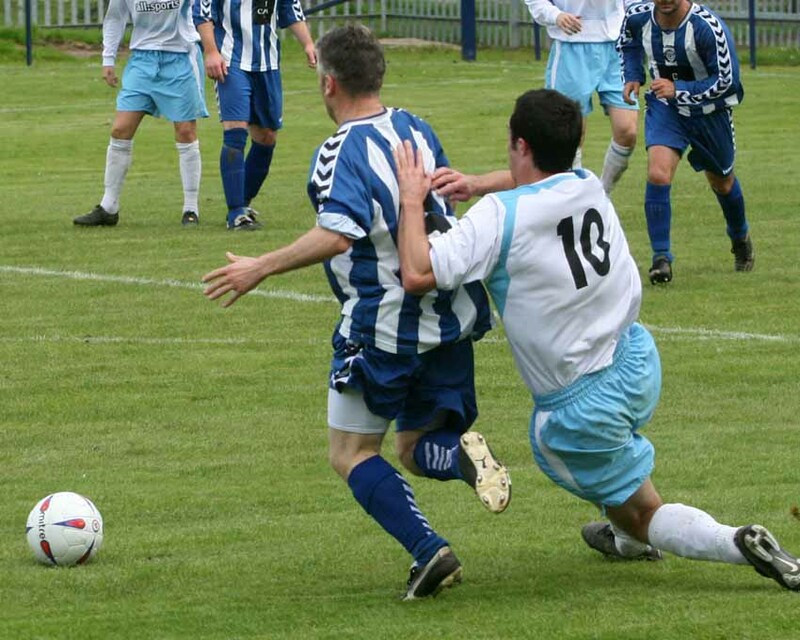 Then at the other end trialist keeper Ramage had to rush from goal to deny McCallum. 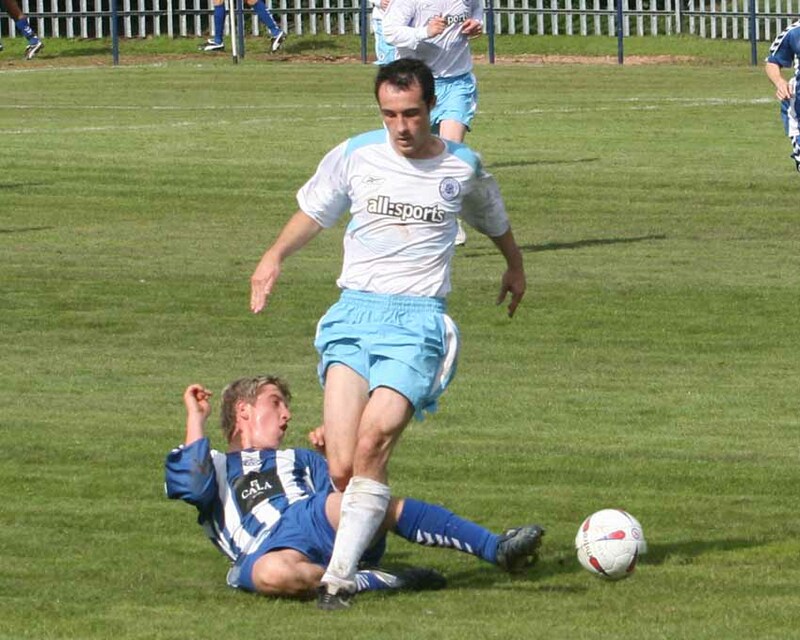 In the 25th minute, following a spell of possession by Penicuik, Cameron headed a Milne cross straight at MacPherson. Two minutes later, Ramage rushed from goal to clear, but the ball fell to Gordon and his long range strike came back off the crossbar with Ramage stranded. In the 33rd minute Steel came close, but MacPherson saved well and his long clearance picked out McCallum. Ryrie closed him down doing enough to delay his shot and Ramage pulled off an excellent save. Minutes later, only a last gasp diving header by Mitchell cleared a dangerous McDonald cross. In the 40th minute, following a corner to Penicuik, Milne saw his powerful header go inches past the post with MacPherson watching anxiously. Two minutes later, Tansey broke free from a tackle by Milne only to see his shot deflected and crash back off the crossbar. One minute before half time, a neat chip by Montgomery over the Musselburgh defence found McDonald, but his shot on goal was cleared off the line by Ramage. 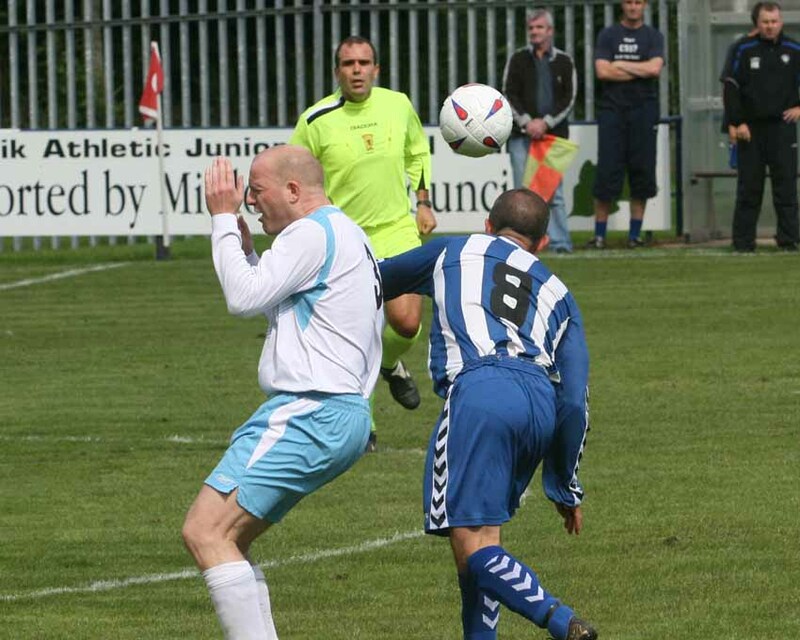 Two minutes into the second half, Musselburgh substitute Chris King saw his strike go just wide of the upright. In the 53rd minute, Musselburgh should have scored, but Mattew King’s effort lacked power and was easily gathered by Ramage. Three minutes later, a cross by Tansey was headed powerfully on goal, but keeper Ramage pulled of a superb save to deny Musselburgh. Then a free kick to Musselburgh went just wide of the target. In the 65th minute, Jones cut back the ball into the path of Milne. His shot was brilliantly saved by MacPherson. Cameron followed up to head the rebound into the net, but somehow MacPherson got fingertips to the ball to save. One minute later, a fine move between McDonald and Cameron saw McDonald get to the ball before MacPherson and everyone held their breath as the ball rolled agonisingly past the post. 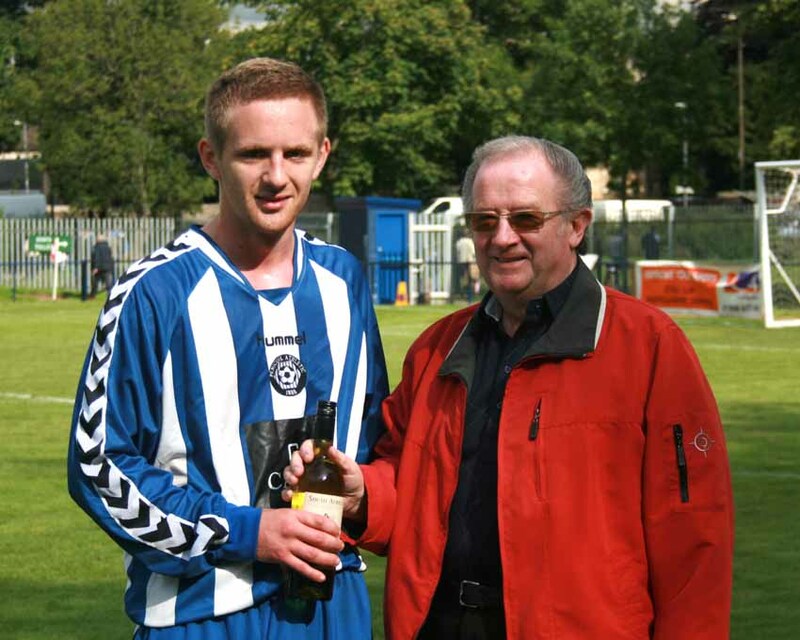 Musselburgh took the lead in the 77th minute when a lovely cross was curled behind the Penicuik defence. McCALLUM came in at the back post and his diving header gave Ramage no chance. Then a free kick to Musselburgh got through the defensive wall, but Ramage did well to save. Penicuik refused to give up and in the 86th minute, a great cross by Jones picked out STEEL in the six yard box and he made no mistake in slotting the ball home from close range.